A landscape worker who was struck by lightning is fighting for his life after freak thunderstorms rattled San Diego County. A San Marcos fire official says Gutiberto Matias, 32 was struck by lightning Wednesday afternoon while working outside a house in northern San Marcos. He's listed in critical condition. 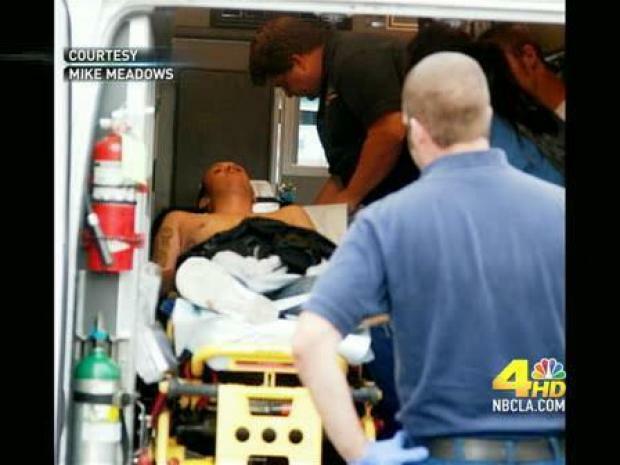 A 40-year-old woman was struck and killed by lightning on a street in Los Angeles. And a 31-year-old woman died after a wind-blown tree crushed her car as she drove in the San Bernardino Mountains during a thunderstorm. 53 Passengers on board a Southwest Airlines flight got quite a scare when lightning struck their plane, which was headed from Oakland to Burbank. The pilot turned the plane around and landed safely in Oakland. No injuries were reported. A spring storm killed at least two people and injured several others. Most of them were hit by lightning. The lightning strikes sparked several fires. Experts said Wednesday it's unusual to experience weather like this before summer. 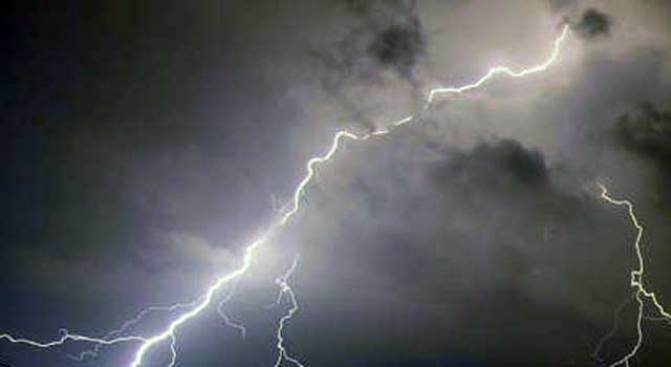 The National Weather Service says nearly 100 lightning strikes were reported in San Diego County as the band of thunderstorms moved in, the North County Times reported. The weather kept firefighters busy chasing a spate of small lightning-sparked fires, including a brush fire that charred about an acre near Willow Glen Road and Margarita Glen in Fallbrook. Most of the fires had burned out or been rained out by the time firefighters arrived, Cal Fire spokesperson Capt. Nick Schuler said. Utility crews were also overwhelmed by thousands of power outages, and motorists at times pulled over to seek cover from the pounding hail in Del Mar, Carmel Valley, Ocean Beach, Pacific Beach and La Jolla. Officials say at least 19 small lightning-sparked wildfires erupted in the San Bernardino National Forest. No structures were threatened.